Even if you live in Rome, you may temporarily need another apartment for your acquaintances or for you (due to move, renovations or other). "The accommodation description was accurate: a clean, practical and secure apartment away from the city center. The accommodation is particularly appropriate for a longer stay in Rome, where one can really settle into an affordable 'home-from-home'. Georgio, a very amenable host, clearly takes his role seriously and made himself accessible to offer help and advice throughout our stay. This unexpected support and back-up made our experience in Rome all the better - especially when we had need to call upon his 'trouble-shooting' ability to resolve a practical problem which arose. Georgio is 'Our Man in Rome'!" "The apartment was very good base for people not wanting to stay in the centre of Rome. The train station for Rome is not far but it was always nice to relax at the end of the day in the apartment away from the crowds. The surrounding area is quiet and there are views to open countryside from the balconies. The apartment was exactly as described and Giorgio, the owner, even had a video to show the apartment itself and the surrounding area which we looked at before booking. The apartment was clean, the heating was efficient (in March it was necessary)and there was endless supply of hot water. What made the stay particularly enjoyable was the personal attention that Giorgio provided. He got us tickets for the bus/train, provided lots of information in advance and whilst we were there and we knew that we could contact him to ask for any further help at all. 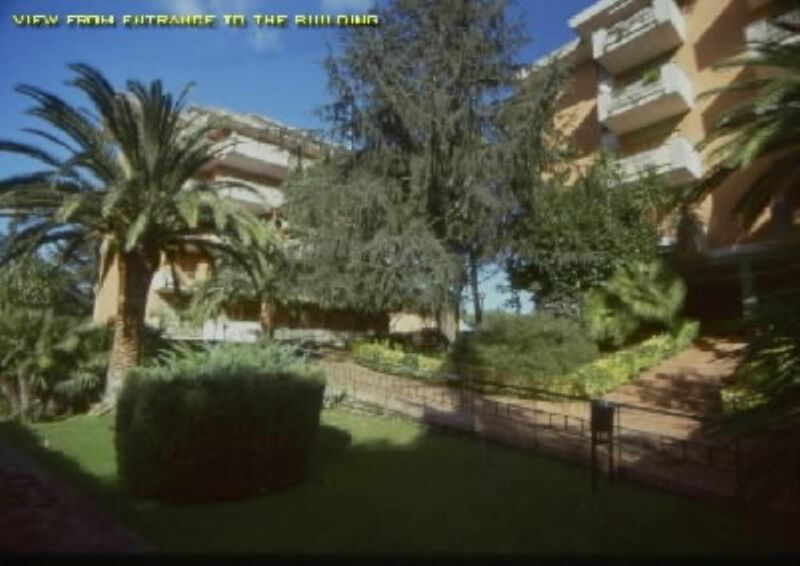 I would have no hesitation in recommending this property to someone wanting to visit Rome but stay in a quiet area." "CassiaHouse is the perfect place to stay when visiting Roma. It is close enough to the train station to get into the centre of Rome in twenty minutes, but you can escape the crowds and noise in the evening, and enjoy the real Romans. Giorgio is the most hospitable and accommodating host I have ever met. He helped us in every way he could. When we return to Rome, we will be staying with Giorgio again." "The apartment was very secure; it had a wonderful view out to the city. It had the basic necessities, including a washing machine for clothes. Mr. Odazi is very nice and very helpful. He does what he can to help you get oriented and to answer any questions. He even has maps and other books to help with your trip." "Apartment is on a very quiet and leafy laneway an easy walk from the station, restaurant & small supermarket. There are 2 balconies which were nice to sit out on to watch the sunset after a busy day sightseeing in Rome. The furnishings are homely and the kitchen stocked with most things you could want on holiday. Georgio was very attentive and helpful during our stay, even providing phone & train passes for us." "Giorgio is an excellent host and his apartment is a real gem. Arriving on New Years Eve (we did not expect all the stores to be closed) Giorgio made sure we had food to last the next day... we will always be grateful for this generous help. :-) Giorigo has everything you need to make the most out of your visit to Rome (maps, train schedules, brochures, tour books) with lots of advice too. The apartment is close enough to walk to the train station and from there it is a short ride into town. The apartment itself was well accomodated and clean--we can't recommend it highly enough. The best advice we can give any future visitors is to be very aware of Italian holidays as virtually everything closes either early or altoghter. For us it fell on 31/12, 1/1, and 6/1. So, keeping that in mind your vacation in Rome will be well spent with Giorgio. Thank you again!" Tariffe scontate in relazione alla durata, Tariffe in funzione del numero di persone, Caparra richiesta alla prenotazione, Consegna delle chiavi da parte del Proprietario non presente in loco. la tariffa non comprende lenzuola e asciugamani che sono nolegiabili per 10 euro a persona per settimana.